With sales still plummeting from 55,000 in 1928 to 28,000 in 1930 Packard had little option but to keep going after the dwindling high end market it knew it catered to well in 1931. 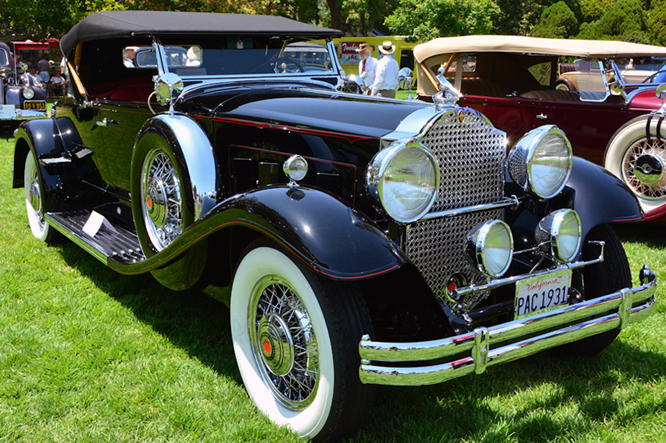 The Eighth Series Packards were offered on the same centrally lubricated chassis as the 1930 Seventh Series. 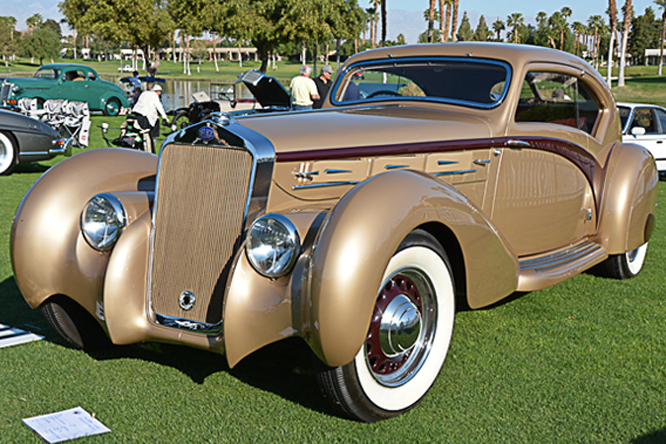 By using larger intake and exhaust valves with a three-piece manifold that featured a cylindrical heater chamber to preheat the mixture Packard engineers managed to get 15hp power more from the 384.8 cui / 6.3 litre straight eight making 120hp in total. 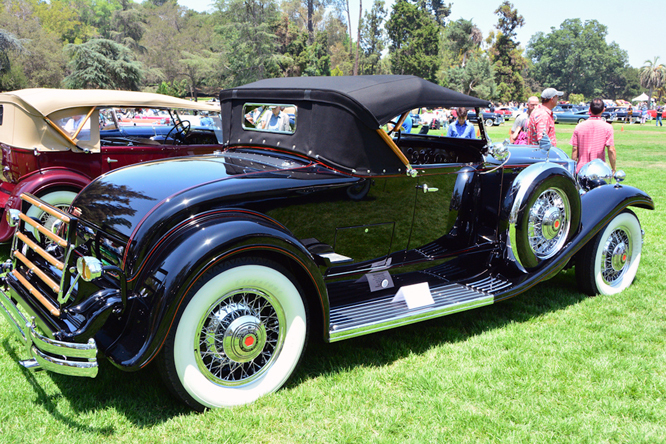 The 1931 840 Rumble Seat Roadster would be the last to be supplied without door window’s and therefore the last true Packard roadster to be built. Just 626 840 DeLuxe Rumble Seat Roadsters would be built before the introduction of the Ninth Series in June 1931. 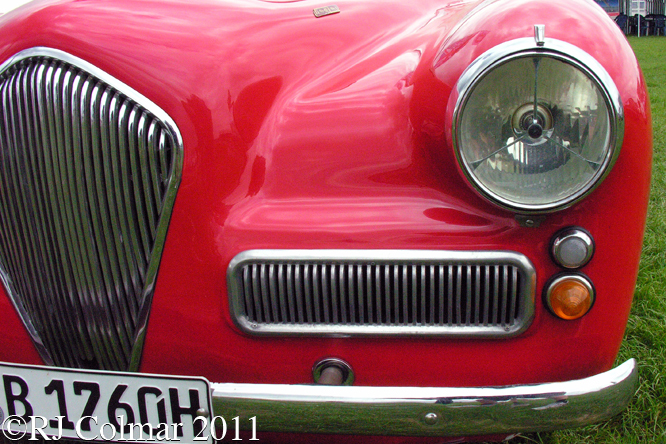 My thanks to Geoffrey Horton for sharing these photographs taken at San Marino Motor Classic, a couple of years ago. Thanks for joining me on this “Last True Packard Roadster” edition of “Gettin’ a li’l psycho on tyres” I hope you will join me again tomorrow. Don’t forget to come back now ! 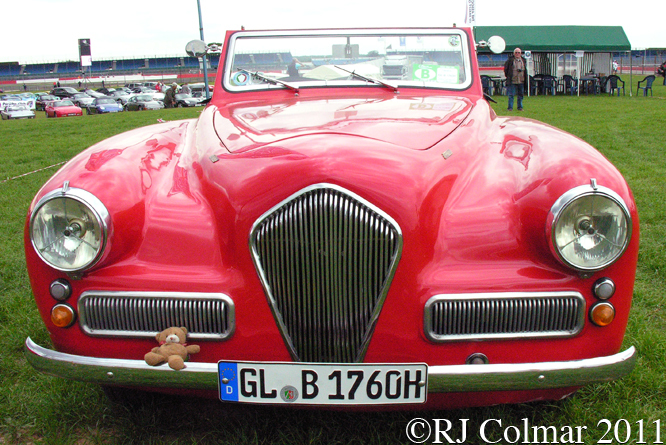 This entry was posted in Uncategorized and tagged 840, Classic, Colmar, deluxe, Geoffrey, Horton, Marino, Motor, Packard, Psychoontyres, Ralph, Roadster, San on April 21, 2016 by Ralph. 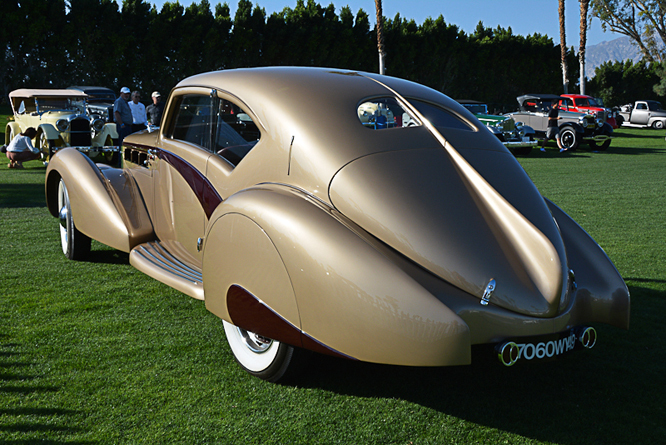 By 1937 when today’s Delage D8 120 was built, Louis Delage had sold the controlling interest in his company to his French rival Delahaye who continued to market cars with both brand names. 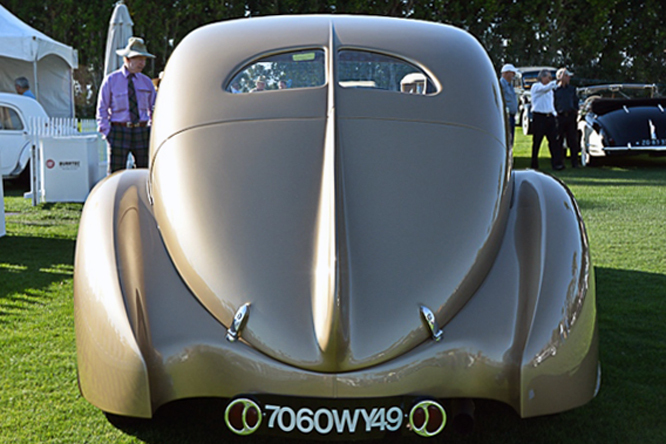 The 1936 Delage D8 100 and 1937 Delage D8 120 were designed to top the ranges of both brands. 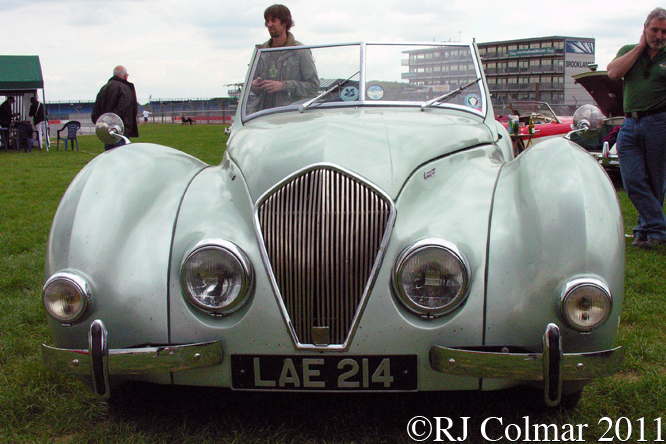 The Delage D8 120 like the D8 100 introduced a year earlier used Delahaye sourced steel ladder chassis frames. There seems to be a good bit of confusion about the origins of the engine used in the D8 120 with some sources believing it to have origins in a Delahaye truck and by others to have origins in the Delahaye 135MS straight 6, so far as I am aware both of these suggestions are no more than chewing the cud piffle of the highest order. I believe the D8 120 engine is a 120hp developement of the straight eight Delage first built in 1929 with it’s capacity now stretched to 4,302 cc / 262.5 cu in. 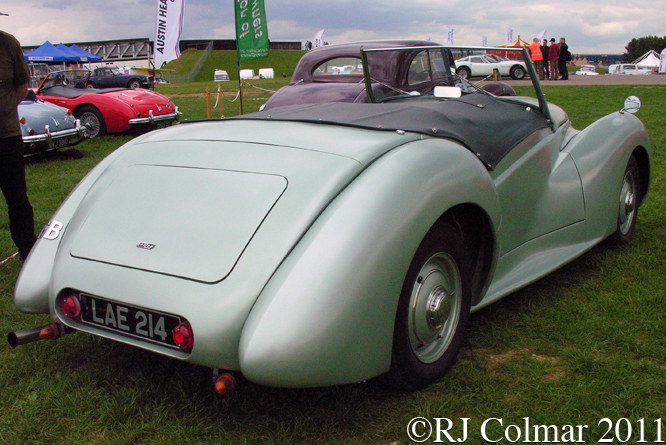 As before the Delahaye take over top of the range Delages were supplied only as rolling chassis onto which the creme de la creme of boutique coach builders were given instructions by customers as to their exact body requirements. The Aerosport Sport Pillarless Vue Panoramic body on today’s featured car, now owned by the Peterson Museum, is by Letourneur & Marchand a Parisian coach building company founded in Paris on the 1st of April 1905. 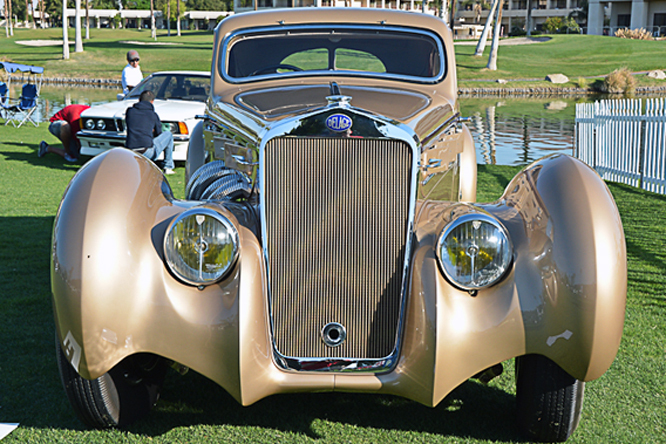 My thanks to Geoffrey Horton for sharing today’s photographs taken at the Desert Classic Concours d’Elegance, Palm Springs a couple of years ago. Thanks for joining me on this “Pillarless Vue Panoramic” edition of “Gettin’ a li’l psycho on tyres” I hope you will join me again tomorrow when I’ll be looking at some of the 400 cars collected by a man who know’s more about the inside of cars than most and has made a fortune out of writing books about how to take them apart and put them back together again. Don’t forget to come back now ! 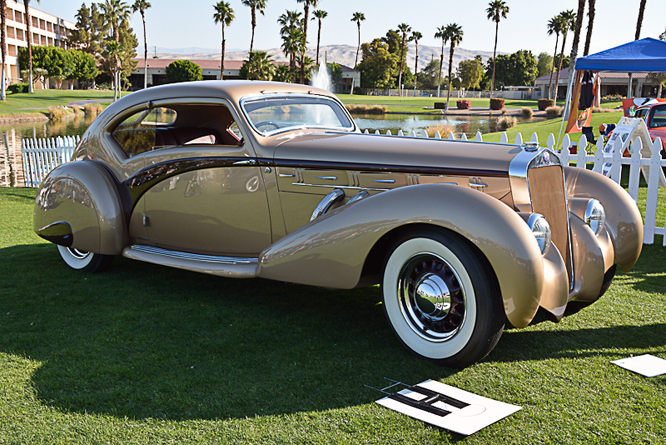 This entry was posted in Uncategorized and tagged 120, Aerosport, Classic, Concours, Coupé, d'Elegance, D8, Delage, Delahaye, Desert, Geoffrey, Horton, Letourneur, Marchand, Museum, Palm Springs, Peterson, Psychoontyres on April 19, 2016 by Ralph. 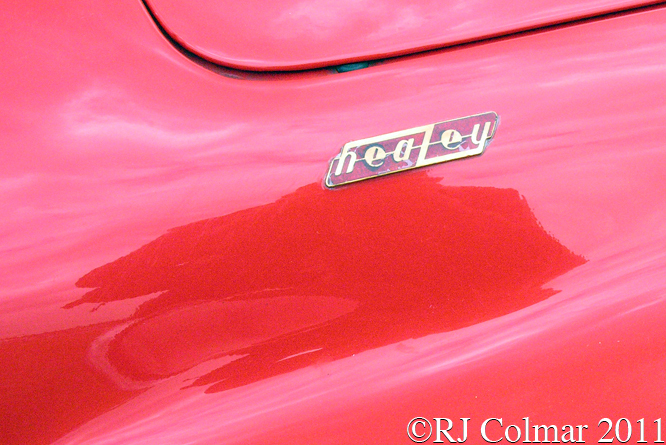 In 1948 Donald Healey added three new models to his existing Elliot Saloon and Westland four seater roadster. All three new models like today’s featured Sportsmobile ran on the same chassis with independent front suspension as the Elliot and Westland. 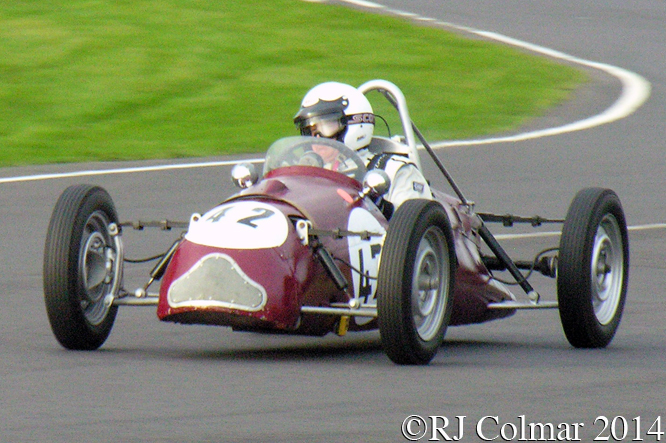 They also used the same Riley running gear with a 104hp twin cam 4 cylinder Riley engine. The “Dropflow Coupe” 2+2 drop head coupé body said to be influenced by contemporary American styles was made in aluminium by Sam Morris and Co.
High end pricing aimed the Sportsmobile squarely at the exclusive end of the market and all Sportsmobiles were built only to order, hence the “Custom Built” legend on the model name badges and boot / trunk handle. 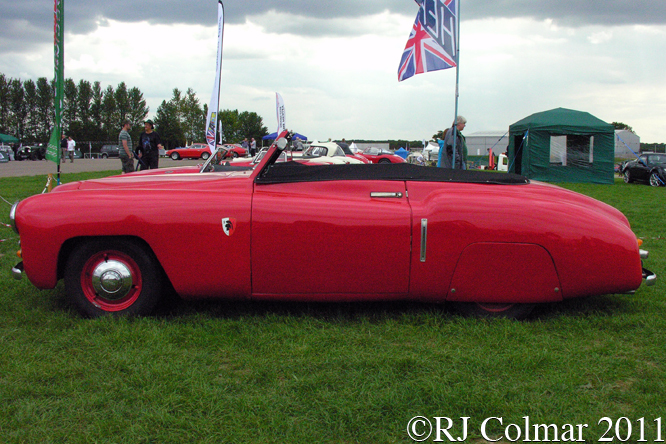 World Land Speed record breaker John R. Cobb drove a Sportsmobile on the official circuit opening ceremonial lap at the Silverstone Circuit in Northamptonshire on the 20th of August 1948. 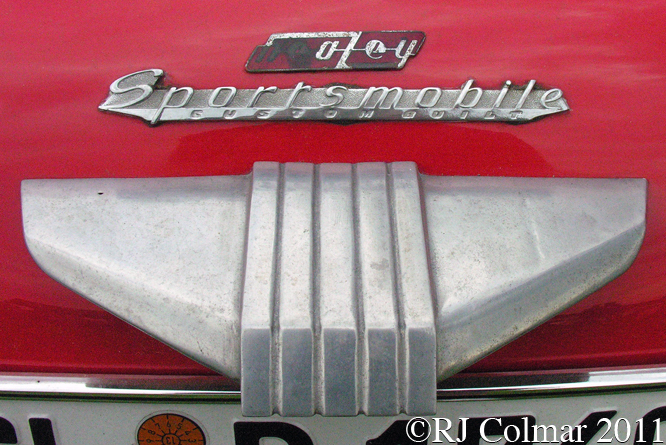 It is believed by the Sportsmobile Register that 25 such cars were built, but only five are known to remain. 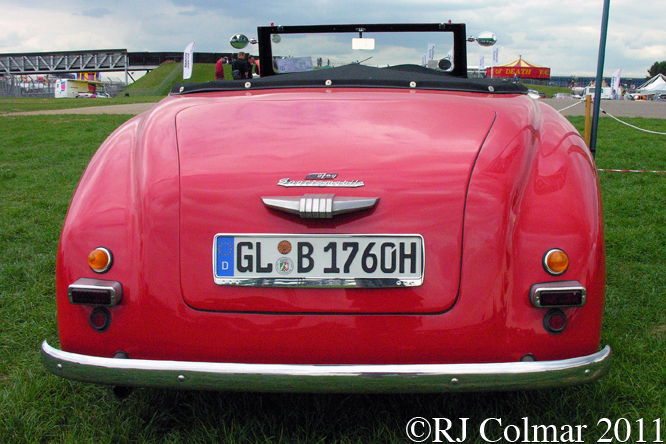 I believe chassis #B 1760, featured in these photographs taken at Silverstone Classic was built in 1949, in 1951 it was with Shukers in Sheffied and moved to Germany in 1980 the current owner, who also owns a Healey Silverstone, bought #B 1760 in 2008. Thanks for joining me on this “Dropflow Coupé” edition of “Gettin’ a li’l psycho on tyres” I hope you will join me again for Mercedes Monday tomorrow. Don’t forget to come back now ! This entry was posted in Uncategorized and tagged Classic, Cobb, Colmar, Healey, Morris, Psychoontyres, Ralph, Riley, Silverstone, Sportsmobile on April 10, 2016 by Ralph. 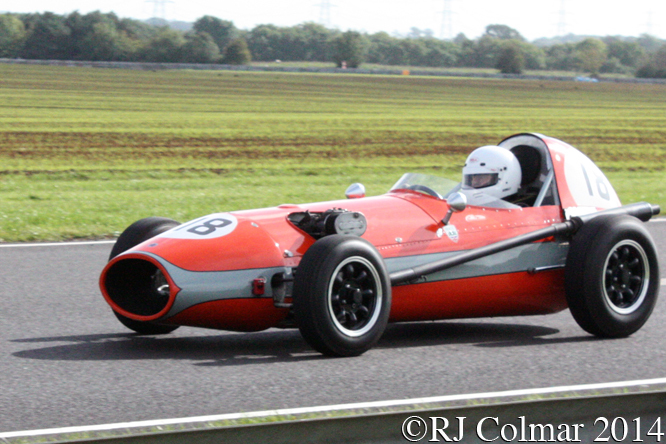 My understanding is that Leslie Redmond of the Moorland Car Company, Southall, London built today’s unique Moorland Formula Junior car to a design laid down by Len Terry in early 1959. 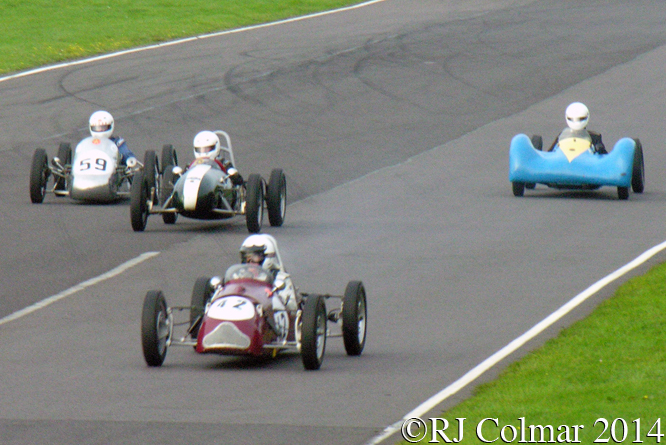 The first documented appearance of the car I have been able to find is in the third BRSCC organised Formula Junior race which took place at Brands Hatch on August 3rd 1959. 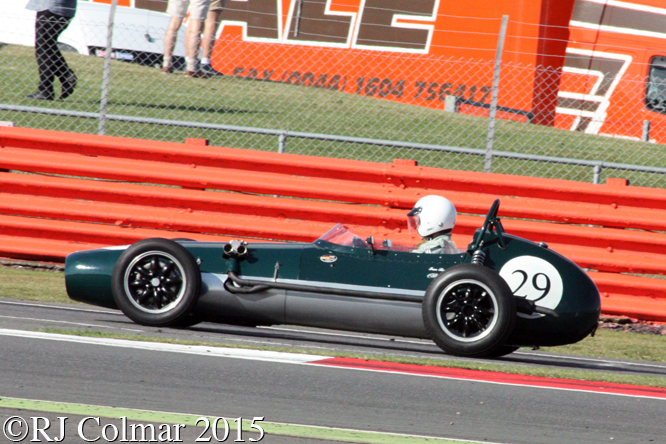 It would appear that Graham Warner of The Checkered Flag, a car sales, engineering and racing business that operated from premises on Edgeware Road and Chiswick High Street in London with a third on Arkright Street in Nottingham, bought the car and entered it for himself at Brands Hatch. However Graham got stuck on his return from Germany, where the German Grand Prix had been run at Avus in Berlin the day before and called ahead to his mechanics to find a driver for the Speedwell BMC powered Moorland. 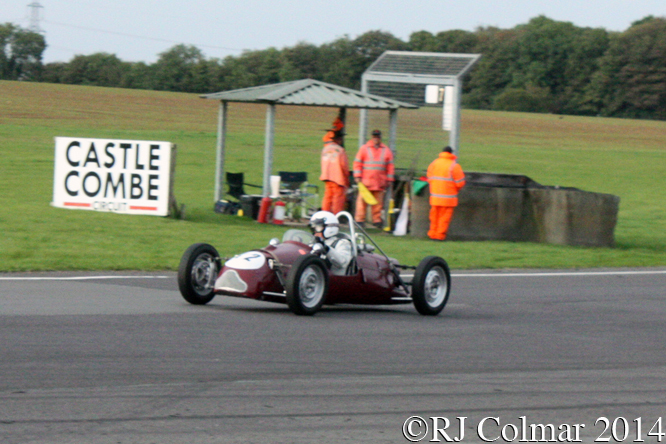 Ian Raby was given the job of driving the Moorland and after starting from the back of the grid, having missed practice, he scythed through the field recording the quickest lap in the five lap race on his way to eventual victory. 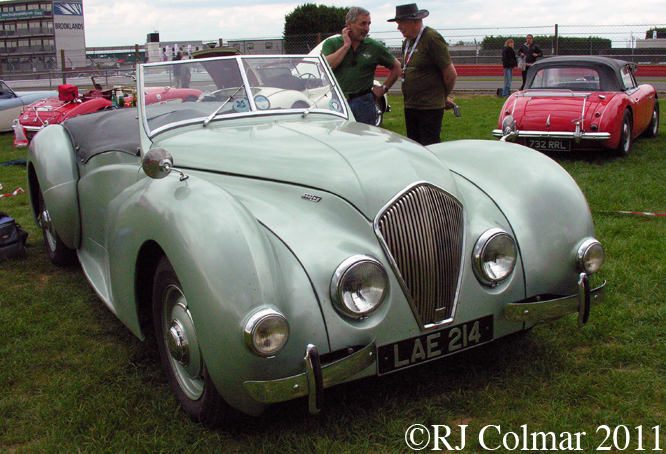 Graham Warner decided to acquire the rights, jigs, moulds and services of Leslie Redmond to put the car into production, naming it Gemini Mk2 after Gemini House on Edgeware Road where one of his businesses was based. 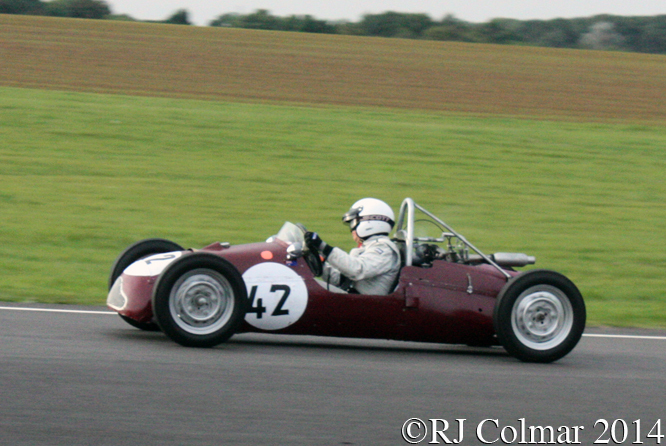 In 1960 the Moorland went to the USA where it remained until repatriated in 2001, current owner William, Bill, Grimshaw is seen at the wheel in this photograph exiting the pits at last years Silverstone Classic meeting. On the 26th December 1959, at a rain sodden Brands Hatch, a Scotsman by the name of Jim Clark drove a Checkered Flag entered Ford powered Gemini Mk2 to an eighth place finish in the 10 lap John Davey Trophy. 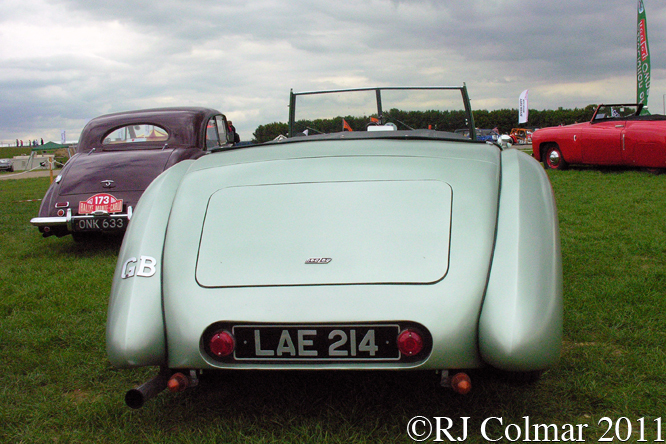 Thanks for joining me on this “Gemini’s Antecedent” edition of “Gettin’ a li’l psycho on tyres” I hope you will join me again tomorrow when I will be looking at another Healey. Don’t forget to come back now ! This entry was posted in Uncategorized and tagged BMC, Classic, Colmar, Gemini, Grimshaw, Moorland, Psychoontyres, Raby, Ralph, Redmond, Silverstone, Speedwell, Terry, Warner on April 9, 2016 by Ralph. Having spent a number of difficult years engineering Triumph’s around the companies struggling finances Donald Healey joined Humber and spent his spare time working on a sports car which Triumph had declined to back. He then found backers of his own to the tune of £50,000 and set up shop in Warwick after securing a supply of Riley engines and transmissions. The chassis of his sports car, which would be shared with a saloons and other body styles featured, expensive, front independent suspension of the type made popular by the pre war Auto Union Grand Prix cars with a Riley rear axle that combined gave a wheelbase of 102 inches. 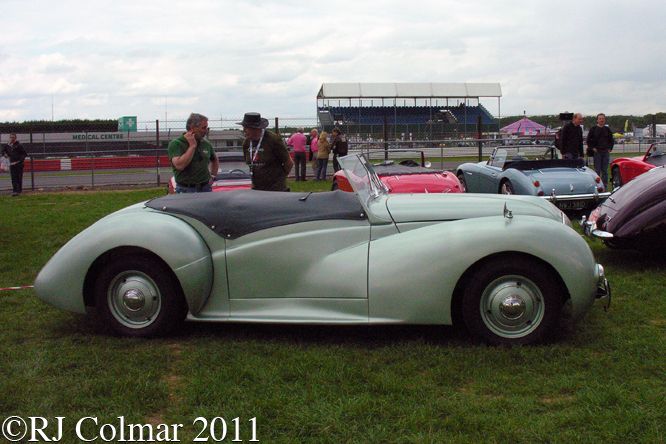 The four seat roadster bodies like the one seen here at Silverstone Classic, were manufactured by Westland bodies in Hereford, the four seat Elliot saloon body was manufactured by a shop front manufacturer in Reading. 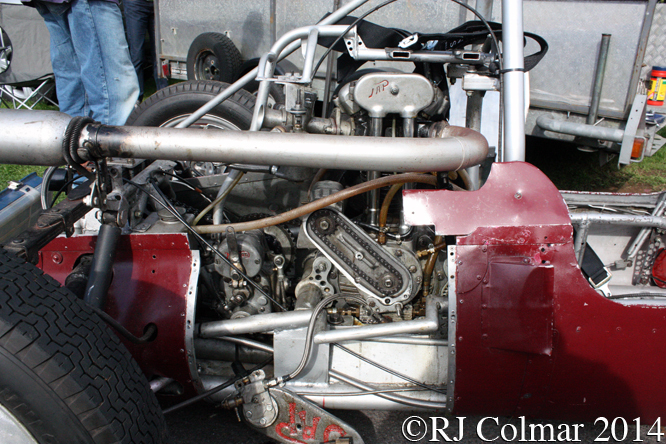 Donald Healey specified various modifications to the Riley 2443cc / 149 cui four cylinder twin cam engine, of similar design to those which ERA had also modified for their 1930’s Voiturette Grand Prix cars, to bring the power up to 104hp. With a top speed of 100 mph and rest to 60 mph time of 12.8 seconds the Westland was one of the fastest cars of it’s time suffering, like contemporary Bristol’s, only from their relative expense. 64 Westlands were produced between 1946 and 1950 and it is believed only 13 survive, today’s featured car was built in 1949. Thanks for joining me on this “Riley Inside” edition of “Gettin’ a li’l psycho on tyres” I hope you will join me again tomorrow for Mercedes Monday. Don’t forget to come back now ! 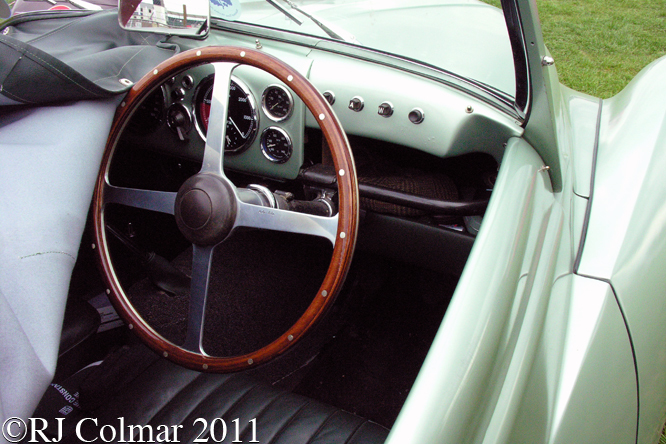 This entry was posted in Uncategorized and tagged Auto, Classic, Colmar, Healey, Psychoontyres, Ralph, Riley, Roadster, Silverstone, Union, Westland on April 3, 2016 by Ralph. When Clever Canadian Bill Sadlers Dad was ready to junk the family business Sadler Auto Electric 1939 Austin panel van Bill asked to take on the vehicle he had been delivering parts with and turned it into a convertible. Later he converted his Hillman Minx to take a 150hp flathead Ford V8, the cars original brakes proved too small on his competitive debut at Watkins Glen. This led Bill to building a number of sports cars to race, he was an early adopter of both the small block Chevy V8 and the engine behind the driver layout which would become part of the formula for any half way decent Can Am car many years later. By 1959 MENSA International member Bill was producing sports cars in small numbers when he decided to build a batch of 12 open wheel cars to the international Formula Junior specifications that were announced in 1958. 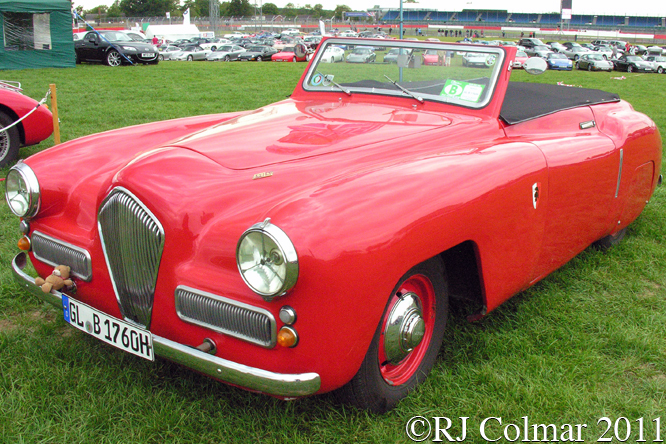 The Sadler Formula Junior’s were built to a tuned version of the 1098 cc / 67 cui 46hp BMC A series engine more commonly found in Austin A35 van’s, Austin A40 Pininfarina Countryman’s, Morris Minors, Austin Healey Sprite’s, BMC’s various badge engineered 1100’s, later Mini Clubmans, Australian built Mini Mokes and Austin Allegro’s. The engine and similarly sourced 4 speed gearbox sits in a tubular frame and is covered by an aluminium body. 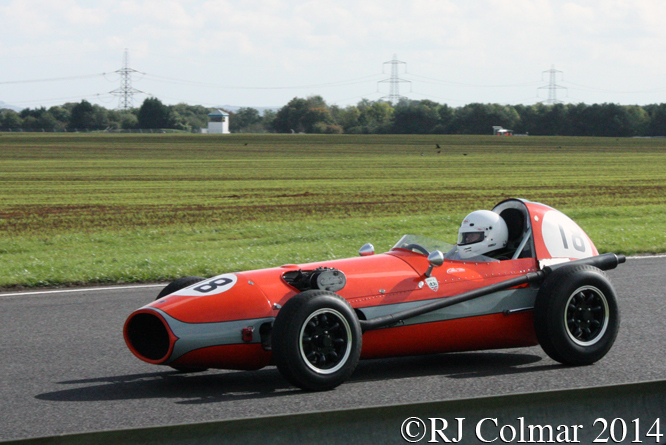 Details of 1959 Formula Junior races in which Sadlers took part are extremely hard to find, but by 1960 G Hag, Vic Yachuk, Ernest Donnan, James Walter and George Roberts, had all recorded starts in Sadler Formula Juniors in North America. 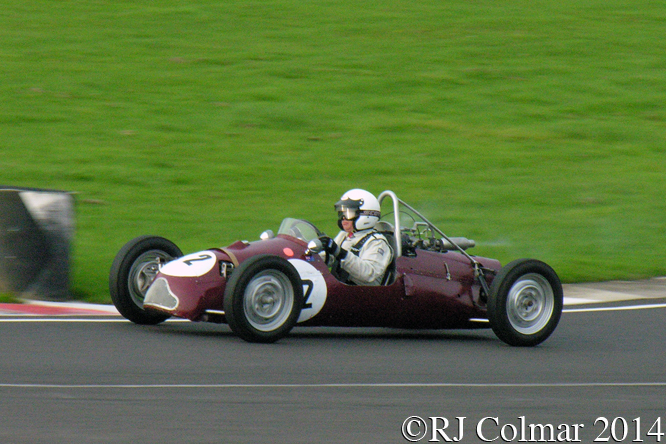 According to Dutchy and Steven W at The Nostalgia Forum, today’s Sadler seen in these photographs with Stephen Bulling driving at Castle Combe, was at one time driven by Canadian Dave Rodgman. Thanks for joining me on this “Clever Canadian” edition of “Gettin’ a li’l psycho on tyres” I hope you will join me again tomorrow when I’ll be looking at the first in a new Sunday Healey series. Don’t forget to come back now ! 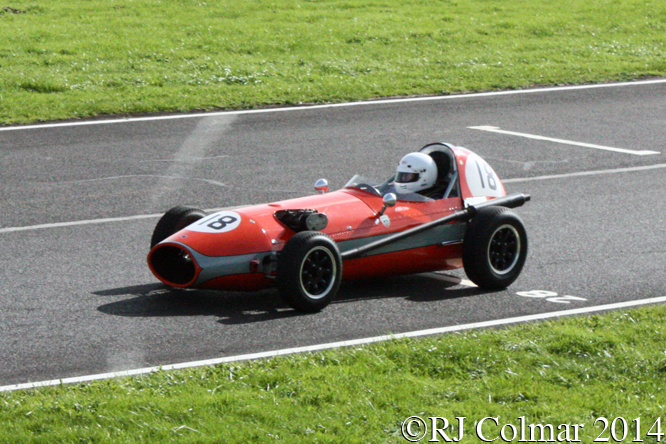 This entry was posted in Uncategorized and tagged A, Autumn, BMC, Bullings, Castle, Classic, Colmar, Combe, Donnan, Formula, Forum, Hag, Junior, Nostalgia, Psychoontyres, Ralph, Roberts, Rodgman, Sadler, Series, The, Walter, Yachuk on April 2, 2016 by Ralph.